Joe Mantegna and Michael O’Kelly have joined forces to honor Ray Bradbury with a ninety minute groundbreaking documentary, “Live Forever, The Ray Bradbury Odyssey,” reports Bruce Edwin of The Hollywood Sentinel. The explosive new documentary, under wraps until now- was authorized and planned by Ray Bradbury himself. 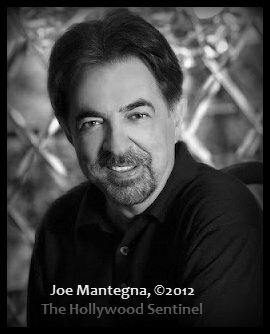 Joe Mantegna’s company Acquaviva Productions has signed on as co-producer, writer, and director with Michael O’Kelly’s, “Live Forever,” the documentary tribute to an American icon and one of the most beloved authors of the 20th and 21st centuries. This authorized film has secretly been in the making for three years. Michael O’Kelly and Ray Bradbury, who became close friends, made a private pact to create an intimate, entertaining dramatized view inside a writers mind. Joe Mantegna’s friendship with Ray Bradbury began with the play that would eventually become the 1998 film “The Wonderful Ice Cream Suit.” Serving with his producing partner Danny Ramm as co-producer, Joe Mantegna will also narrate the film documentary. Over the course of 2011, Ray Bradbury sadly became ill and was occasionally bedridden. Yet despite his fragile condition, Ray Bradbury wanted to continue and push on right up to his passing- and so he did. The results of that work are this film, which are humorous, moving and inspirational. The story, which begins in 1920, is embellished with original animation and special effects by Film Artist Christopher “Moonlight” Cooksey, edited by Scott E. Smith, and scored by composer Shawn Clement. Utilizing interviews, intimate conversations, actors, green screen technology, old footage, and especially created animation, “Live Forever, The Ray Bradbury Odyssey” takes fans on a journey from Ray Bradbury’s birth, through the great depression, into the late 1930’s and 1940’s- the golden age of fantasy and Science Fiction. The fascinating film for all generations also explores Ray Bradbury through the McCarthy trials, following Ray Bradbury’s and Hugh Hefner’s fight against censorship, Ray’s involvement with both Walt and Roy Disney, and finally to the writer’s views concerning space, the future of mankind and death. “Live Forever, The Ray Bradbury Odyssey” has its greatness even further enhanced by the participation of the late Roy Disney, Edward James Olmos, Malcolm McDowell, Hugh Hefner, Jean-Michel Cousteau, Dennis Franz, Clifton Collins, thirteen year old actor Zachary Meade, and many others who loved Ray and wanted to pay tribute to this literary legend. Ray was passionate about the project and provided intimate access for over three years. The ninety minute theatrical release is set for Christmas 2012. Eventually “Live Forever” will be produced in four hour-long, expanded series for television.